The Green Chicago Restaurant Coalition (GCRC), which I serve as president and CEO, is throwing its first annual Green Pumpkin Gala this Thursday (Oct. 23). We think this event — to be held at the Greenhouse Loft at Chicago’s Green Exchange building — will be lots of fun (details below), with a purpose: to highlight efforts by many people engaged in the restaurant industry to make the nation’s food system more environmentally sustainable. Our organization works to address the issues of an industry that is both heavily resource-intensive and waste-producing. According to the EPA, it is estimated the average restaurant uses about 5,800 gallons of water per day and generates more than 100,000 pounds of garbage each year! Supporting GCRC, through events such as the Green Pumpkin Gala, enables our organization to educate restaurants about ways to purchase good, clean and fair food; conserve water and energy; and manage their waste wisely. The Coalition educates Chicago’s foodservice industry and those who support it about environmental sustainability. GCRC uses educational tools, partnerships and outreach to conserve natural resources and protect the environment. GCRC’s recent projects have resulted in the launch of a national sustainable foodservice standard; increased sustainability at more than 100 foodservice operations; and an Outstanding Partnership Award from Green Seal, a renowned environmental non-profit, based in Washington, D.C., that sets environmental sustainability and certification standards for a wide array of businesses. Some of GCRC’s other notable partners include the University of Chicago, the City of Chicago, the Chicago Department of Aviation, the Savor…Chicago catering service at the city’s massive McCormick Place convention center, and Kimpton Hotels. Here’s our back story. 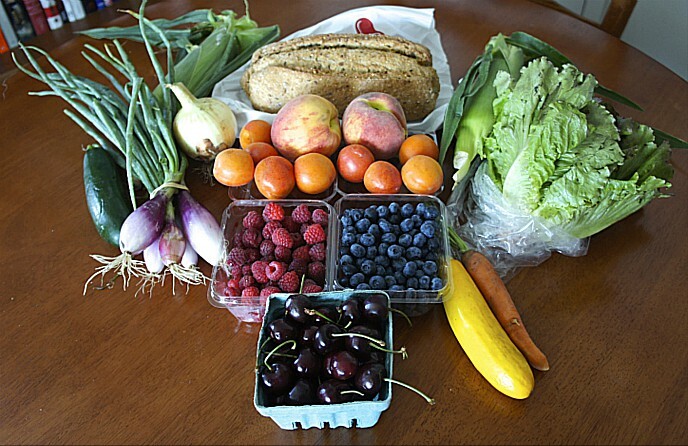 GCRC began as an informal group in 2007, then called the Green Chicago Restaurant Co-op, after Dan Rosenthal — founder of well-known Chicago restaurants such as Trattoria No. 10, Sopraffina Marketcaffe, and Poag Mahone’s — encountered a loggerhead sea turtle that had died after ingesting a petroleum-based plastic bag. Although alternative bio-based bags already existed in the marketplace, they were prohibitively expensive for restaurants acting independently, as were other sustainable products. But Rosenthal, whose own restaurant chain used 400,000 of these bags each year, determined that these products could be made affordable if restaurants banded together to buy in bulk. So he developed the Co-op to leverage the buying power of more than 200 restaurants in Chicago and effectively lower the prices on sustainable products. This led not long after to the founding of GCRC by Rosenthal and Ina Pinkney, another restaurateur long known as the “Breakfast Queen of Chicago,” who shared Rosenthal’s passion for environmental sustainability. In 2009, the Guaranteed Green program, a consumer education initiative to share information about independent, third-party-certified foodservice operations and products, was launched, enabling GCRC to expand its focus and serve both the foodservice industry and Chicago consumers. In 2011, the Green Chicago Restaurant Co-op was formally incorporated as an environmental conservation non-profit, the Green Chicago Restaurant Coalition. 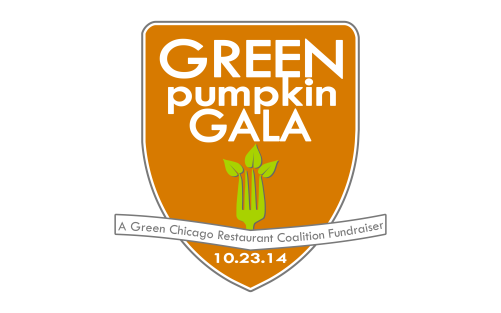 So if you are in the Chicago area or can make it on Thursday evening, please come to our Green Pumpkin Gala and help us make dining out more enjoyable by making it more sustainable (tickets may be purchased here). It will be an opportunity to get to know GCRC’s staff, board and mission; meet some of the giants of Chicago’s restaurant industry; eat, drink and dance; and participate in a raffle and silent auction with unique experiences and items such as a VIP Dinner at Avec, one of the outstanding restaurants by Chef Paul Kahan, a GCRC supporter; tickets to Baconfest Chicago; a Beluga Encounter from Shedd Aquarium; tickets to Chicago’s Sunday Dinner Club; brewery and distillery tours; a private catered dinner at your home; and much, much more. It’s the green thing to do, and a great way to support those who are working hard to create a more environmentally conscious restaurant industry. 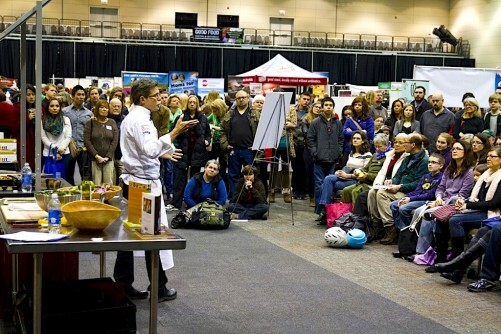 This entry was posted in Good Food movement, Sustainable dining, Sustainable food education and tagged Chicago food, Eloise Karlatiras, Good Food movement, Green Chicago Restaurant Coalition, Green Pumpkin Gala, sustainable food, Sustainable restaurants. Bookmark the permalink.